I am not a very adventurous baker. I use the same sugar cookie recipe I first tried. I tried it, I liked it, others liked it, so why change? because that is what I started with. they would be having a Recipe Contest. This is a contest like none other I had seen before. One that I thought I could actually do. One that I got very excited about. find a recipe, and change it up a bit. Take THEIR recipe, and adapt it into a different recipe all your own. "wow, they are amazing" way, which is totally cool. Here is a picture of her bars. While I have not tried them yet, they will be made soon, very soon. I changed it up a little, adding my own little twist. AND OMG...I died a little! I changed it up by using a Funfetti cake mix and Mini M&M's. I will be making this recipe again soon, like this week. My mind is spinning at all the combinations that I want to try. 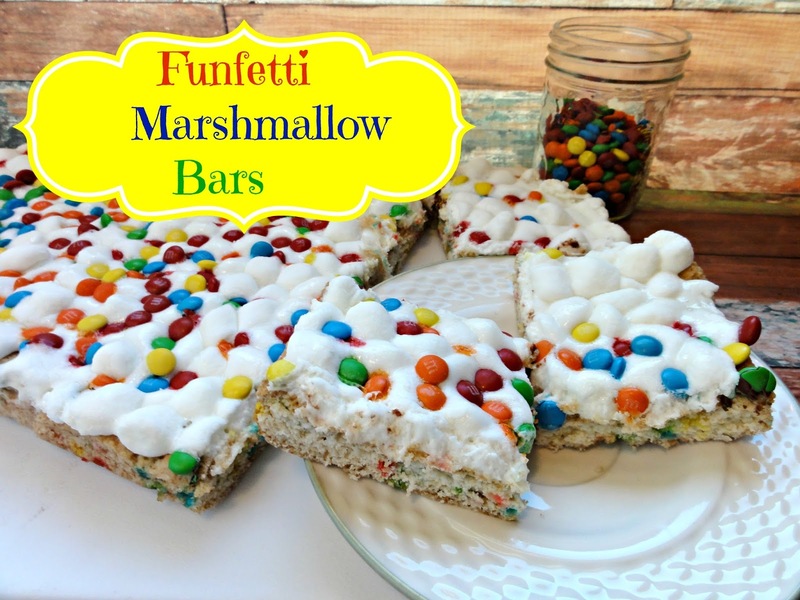 I am entering this Funfetti Marshmallow Bar in the Creative Recipe Contest hosted by Confessions of a Cookbook Queen and Cookies and Cups! Make sure you check out all the entries, I know I will be. 1. Preheat oven to 375. Spray 9×13 pan with nonstick spray and set aside. 2. In the bowl of a mixer, combine cake mix, butter, water and egg. Mix on medium low until a smooth, thick batter forms. Press batter evenly into pan. Bake for about 20 minutes, until puffy and a toothpick inserted in center comes out clean. 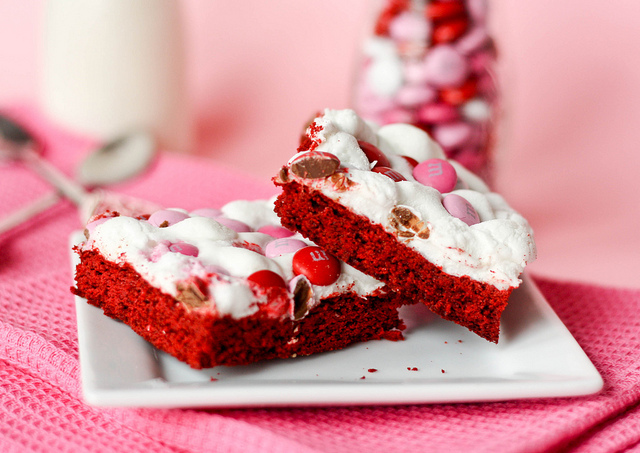 Immediately top with marshmallows and candy — place back in the oven for a couple minutes, just long enough for marshmallows to puff up. 3. Let cool completely before cutting and serving. These look FANTASTIC! Love the Funfetti :) Thanks for linking up! Kim these look so yummy!!! I'm adding this to my "must make" list!!! This is a fun twist on her original recipe! Looks good! 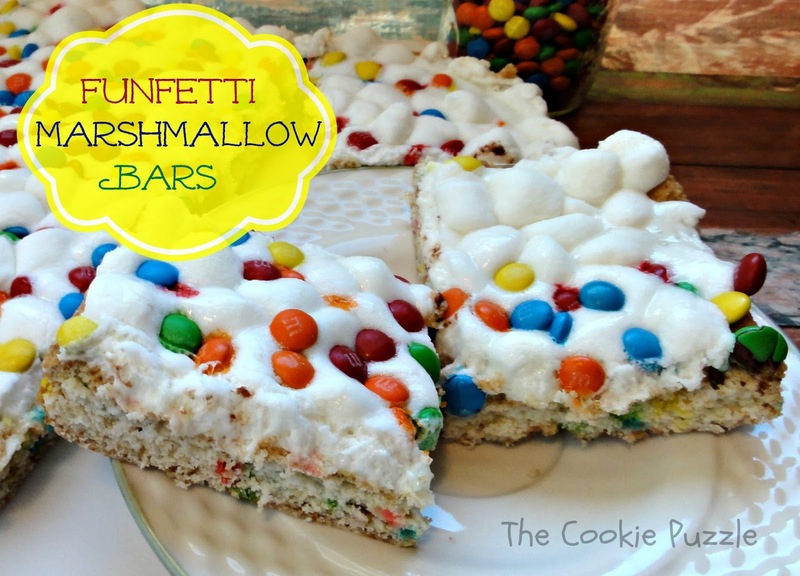 Anything with marshmallows and candy on top gets me vote... yum! !